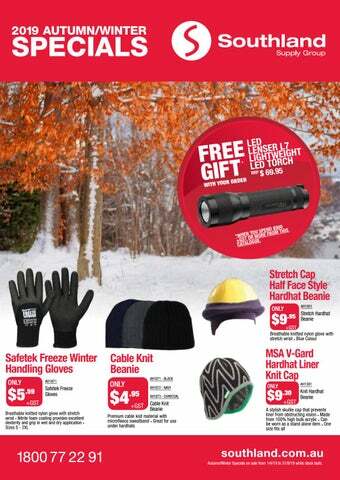 southland.com.au Autumn/Winter Specials on sale from 1/4/19 to 31/8/19 while stock lasts. These safety gloves are like a “second skin” and are especially light and flexible – without making your hands immediately sweaty. Autumn/Winter Specials on sale from 1/4/19 to 31/8/19 while stock lasts.